The sun has become a ‘red giant’ and the world is hot and parched. In California, James and Lexie Deforio have three goals: to find food and water, to survive another day, and to protect their two children. When their home is abruptly robbed and burned to the ground, the family is forced to embark on a cross-country journey in search of safety and water. 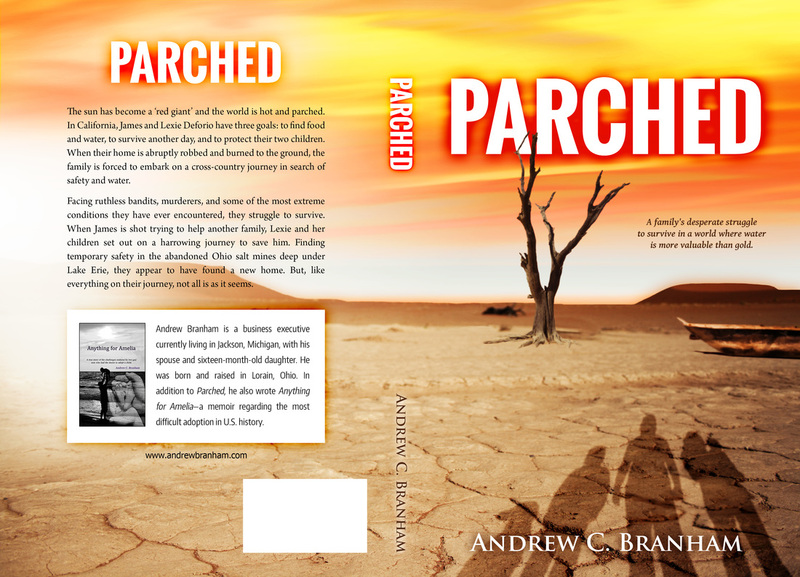 Follow Rukia Publishing Features Self-Published Authors Offers Readers Good Books via Free & Low Cost Book Promotion for authors's board Featured Book: Parched by Andrew C, Branham on Pinterest. 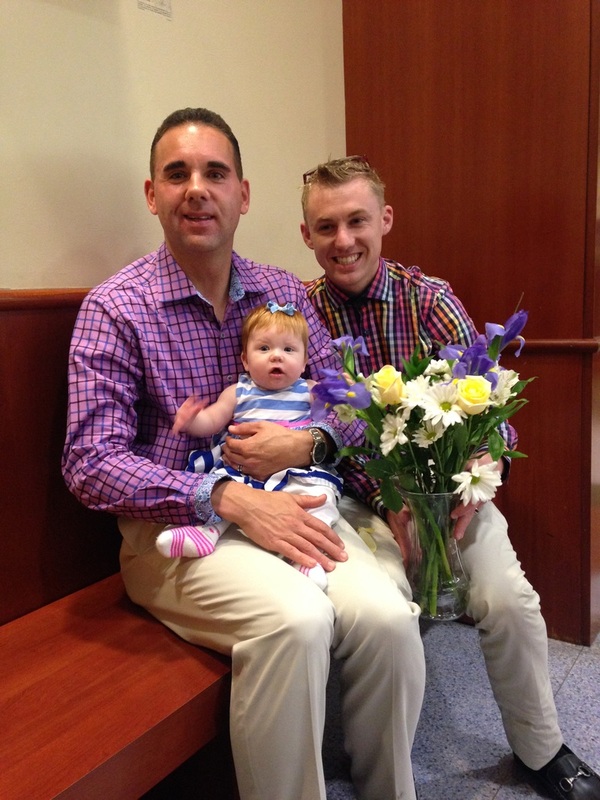 A true story of the challenges endured by two gay men who had the desire to adopt a child. When Andrew and DJ decided to adopt and bring a child into their lives, little did they know what they were about to endure; yet never did the thought cross their minds to give up. The horrific, pitilessly, and beyond comprehensible hoops one woman would make them jump through demonstrates beyond a shadow of a doubt that little Amelia was going to be much better off in the loving home that Drew and DJ could provide her. Just when you think, how can two people survive such a nightmare and the journey is just about over when little Amelia is born and will be safely in the arms of her loving dads, Sandi decides to pull one more shenanigan that could change their lives forever. More than 10 million adults have been adopted or fostered in their childhood. Along with spiraling increases in adoptions comes a growing need to disclose the significant flaws in adoption laws that open the doors to fraud, manipulation, and abuse of the system. 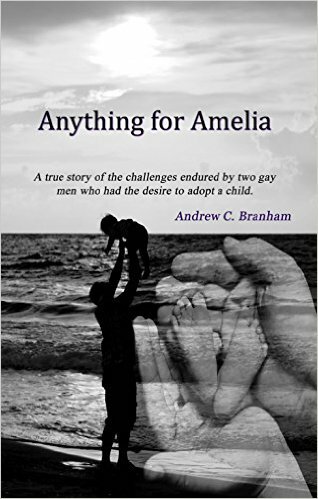 AMELIA is the first book to explore this dark side of the adoption process through the true story of one couple’s journey through hell. Called “the most difficult adoption in U.S. history” by adoption experts, the book appeals to nearly all families (traditional and non-traditional) interested in adoption, foster parenting, or surrogacy. Get Your Copy, click here!